She obtained her Physics degree in Valencia University with Special Award recognition. Her PhD thesis (2006), performed at Instituto de Física Corpuscular (IFIC) with a predoctoral FPU fellowship, got the Special Award from University of Valencia, as well as the accreditation of European Doctorate. From 2006 to 2008 Dr. Tórtola worked as postdoctoral researcher at Instituto Superior Técnico (Lisbon) with a Marie Curie contract. In 2008, she joined Hamburg University with a German-funded contract until December of 2009, when she returned to IFIC, within the JAE-Doc CSIC Program. 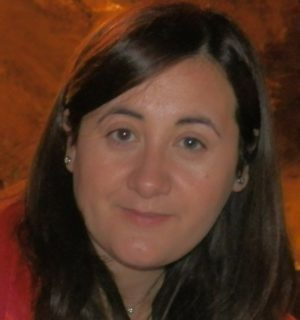 Since January 2015 she works as Ramón y Cajal Researcher at IFIC. Mariam Tórtola’s main activity has been on phenomenological aspects of neutrino physics, where she produced oscillation data analyses with a major impact world-wide. She has also investigated non-standard interactions and neutrino magnetic moments within various particle physics models. She has also worked on neutrino theory topics such as models for neutrino masses and their cosmological implications in leptogenesis and dark matter. She has published more than 50 articles in high-impact peer-reviewed journals, with more than 5000 citations. Four of them, with more than 500 citations each, constitute standard references in the neutrino community. She is also a member of the experimental collaboration DUNE, aiming to build the most sophisticated neutrino experiment to date. Dr. Tórtola’s has been recognized with the RSEF/BBVA prize for Young Researchers in 2009 and the L’Oréal-UNESCO Award For Women in Science in 2017. She has participated in many national and international projects and collaborates very actively with researchers from several European and international institutions. She has presented results many international conferences and has contributed to the organization of four of them. She has also been invited to give specialized seminars and PhD lessons at several universities and research institutes. She belongs to the Editorial Board of two international scientific journals and acts as regular referee for the top journals in her field. Dr. Tórtola has supervised 2 (finished) and 1 (ongoing) PhD. Since 2015 she collaborates in the teaching duties of the Theoretical Physics Department of University of Valencia and she has supervised several bachelor and master thesis. She is also actively involved in the outreach activities of IFIC.